The Lipsi Agathonisi ferry route connects Dodecanese Islands with Dodecanese Islands. Currently there is just the 1 ferry company operating this ferry service, Dodekanisos Seaways. The crossing operates up to 2 times each week with sailing durations from around 1 hour 20 minutes. Lipsi Agathonisi sailing durations and frequency may vary from season to season so we’d advise doing a live check to get the most up to date information. The small Greek island of Agathonisi is one of the most northerly of the Dodecanese islands. The island's population is only around 200 and its land area is only around 14 sq. km and has a coast line of about 32 km. There are three main towns on the island, Aghios Georgios, Megalo and Mikro Chorio and are all well known for the lovely traditional architecture of there houses and for their beautiful gardens. Along with its neighbouring islands, Agathonisi has an important ecosystem that is home to many rare bird species and is part of a protected area. 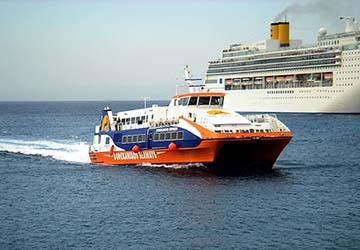 Ferries from the island depart to destinations including Patmos, Leros, Leipsoi, Samos and Chios. 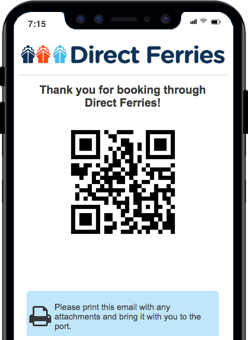 Crossing times vary depending on destination, route and whether or not a conventional ferry or high speed ferry is taken. Some destinations can take up to 11 hours to reach from Agathonisi.